ngela Birkhead-Flight began her ministry in church music while still in high school, teaching songs to children in the religious education classes. While at Saint Mary-of-the-Woods College (Indiana), she provided music for four parishes in the surrounding area, playing guitar, piano and organ, and directing other musicians and singers, and upon graduation accepted a position at Saint James, Redondo Beach CA, as choir director. After several years, she took a break from the music field and trained as a research psychologist, earning an M.A. in Experimental Psychology from California State University, Long Beach, and a Ph.D. in Research Psychology from the University of Cincinnati. She taught college for a few years in Ohio and Northern Kentucky, but found that she was spending more time in church music than in psychology, so returned to her first career. 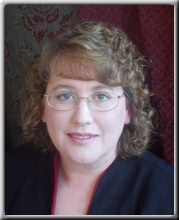 With over 22 years experience in choral directing in various churches, she currently is the Director of Music Ministry at Saint Martin Parish in Cheviot, Ohio. She recently founded a city-wide children's choir in Cincinnati called the Psallité Chorus, with the purpose of teaching chant and sacred choral music to the children. She has studied children's choir directing with Lee Gzwodz at summer institutes and Gregorian chant with Rev. Lawrence Heiman, C.PP.S. at the Gregorian Chant Institute.